There really isn’t an easier OR cheaper way to update your kitchen decor by bringing in a little seasonal flare with a new kitchen towel. Fun kitchen towels are a great way to inspire a decor refresh and provide you with a jumping off point. Early spring had me all about that pink! 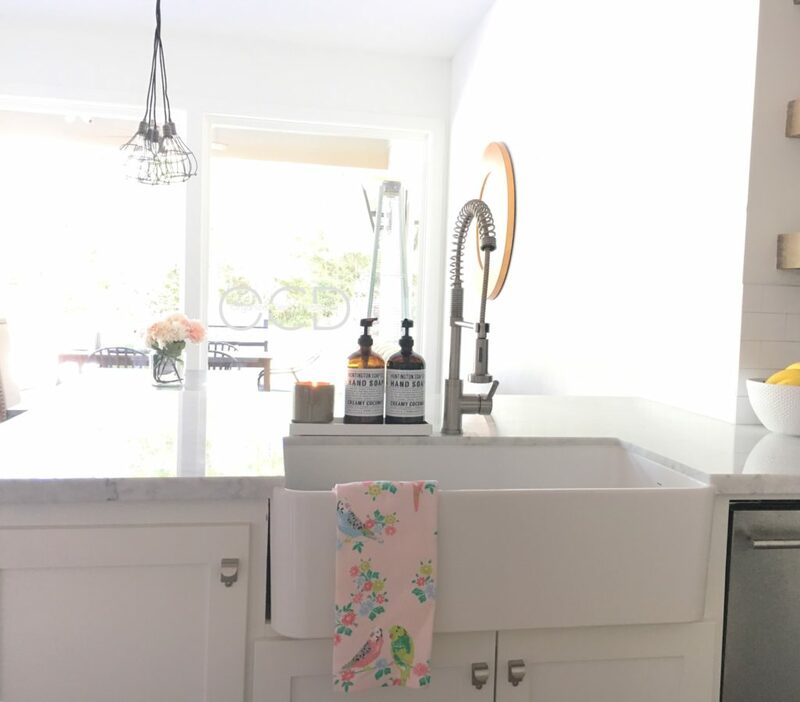 When I spotted this perfectly spring towel, I knew it was time to extend my blush crush into the kitchen! 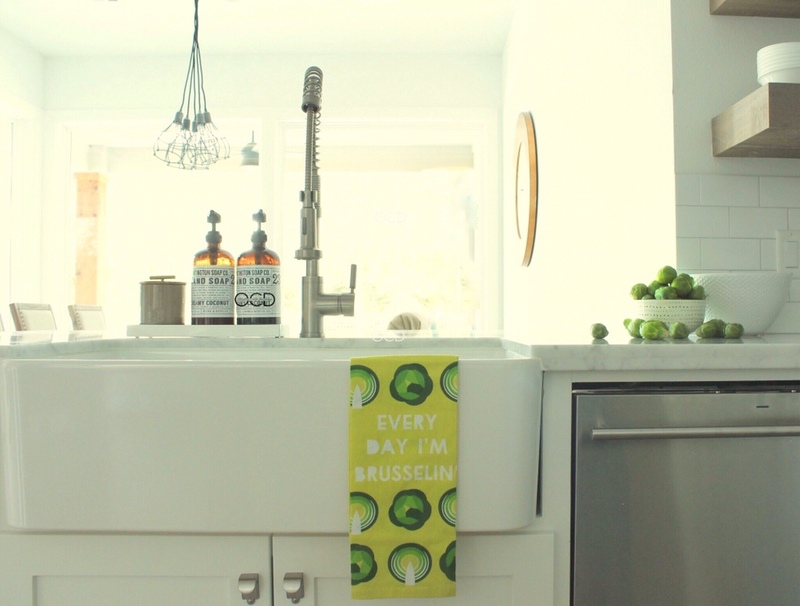 We loooove us some brussel sprouts in this family (recipe is here) so I had to nab this fun towel. Not to mention, as perennial entrepreneurs, I consider my husband and I to both be “brusselers” lol! To complete this look inspired by the kitchen towel, I went with just greenery- no flowers. And a few black and white pieces. 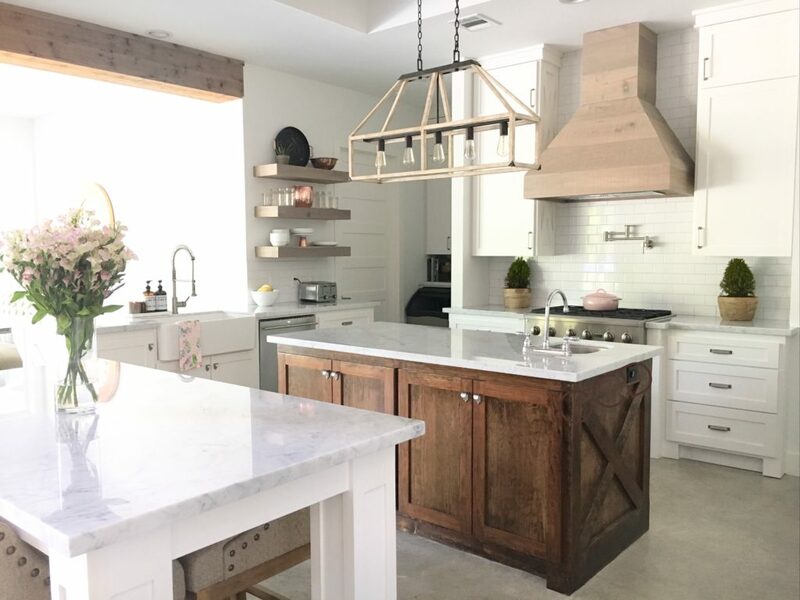 I found some more kitchen towels that gave me plenty of inspo for spring decor as well, so I thought I’d share them in hopes you’ll find some inspiration for a little refresh as well! Along with some beautiful floral prints, there are some gorgeous blue towels that I can envision paired with some blue and white ginger jars, and/or a bowl of lemons or your favorite fruit.